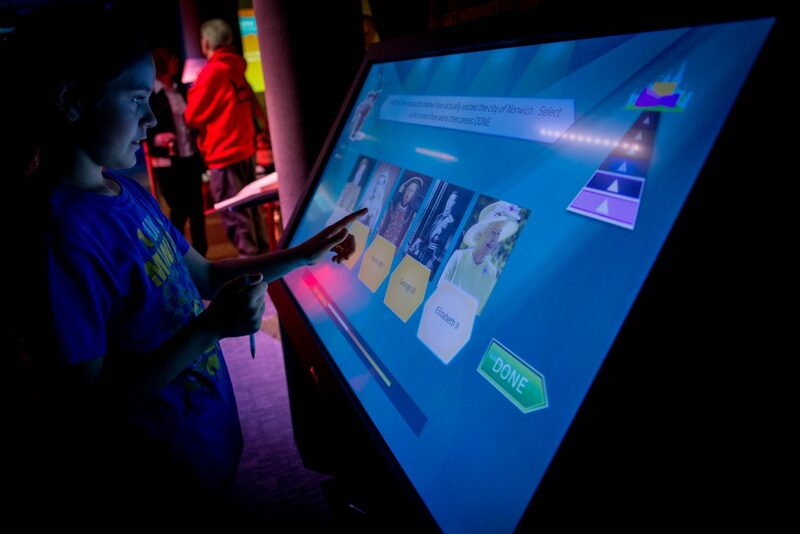 One round space be transformed into an open access digital gallery capable of choreographing multiple exhibits simultaneously, yet operable from a single console by users with little or no technical background? One of the most successful millennium projects in the UK (opened in 2001) and quickly became a landmark in the Norwich city centre. Designed by the award-winning architect, Sir Michael Hopkins, the Forum project cost £65M and is now visited by 2.5 million guests a year. The Forum is home to the Norfolk and Norwich Millennium Library, BBC East, the Forum Shop by Jarrold and MINT, a charity which helps young people find employment. The fusion gallery hosts an eclectic mix of exhibitions, events, activities, catering, shopping and learning opportunities. 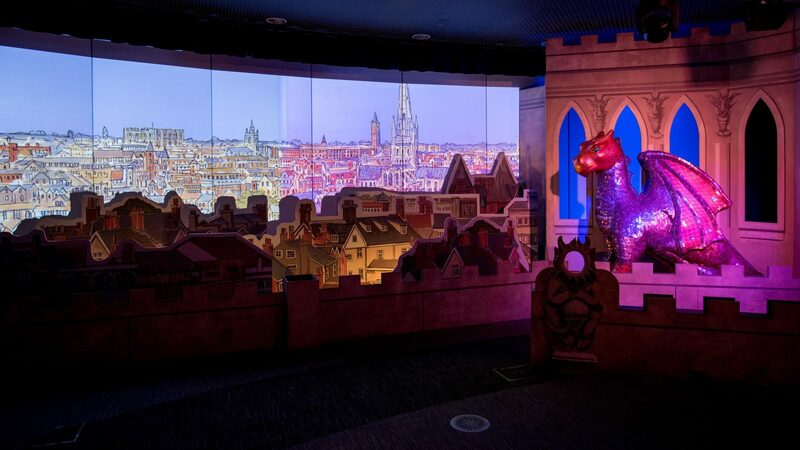 The Forum saw the need to replace their existing chargeable ‘heritage’ attraction with an open access and flexible ‘digital gallery’. 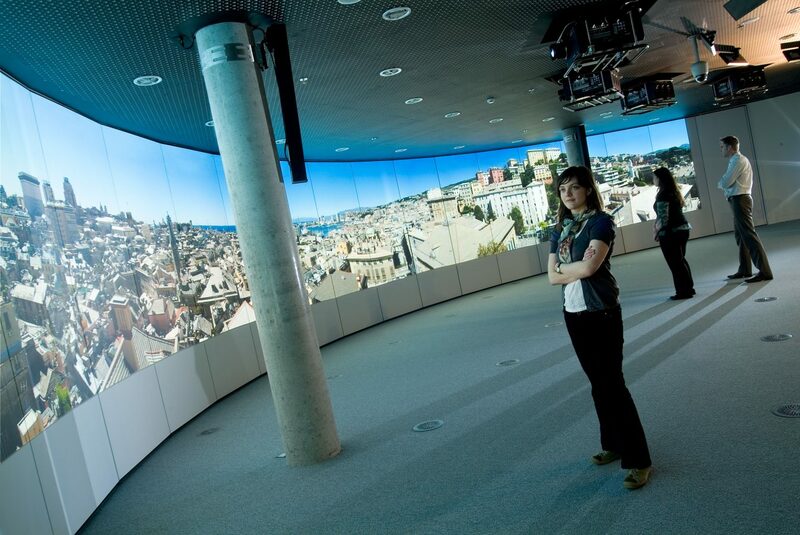 Aptly named ‘Fusion’ gallery, we were contracted to deliver Europe’s largest open access digital media gallery. In addition, the technical life of the Fusion Gallery at The Forum was drawing to a close. Following non-stop use for nearly six years, projectors and lighting systems were in need of replacement. 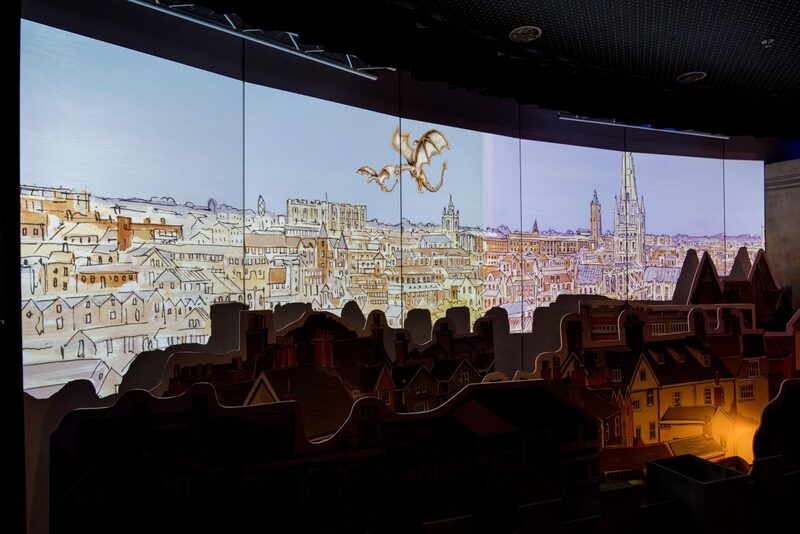 The refurbished space had to be highly flexible in terms of lighting, audio and projection. A system which can very easily be adapted and configured for a variety of uses – exhibitions, performances, film shows. Furthermore, the client wanted to be able to divide the gallery space into various sections during any single event, each with its own flexible AV set up. To this extent, the client expected a user-friendly solution for the event delivery staff – some of whom would be casual employees with little or no technical expertise. Tthe space itself was unique. 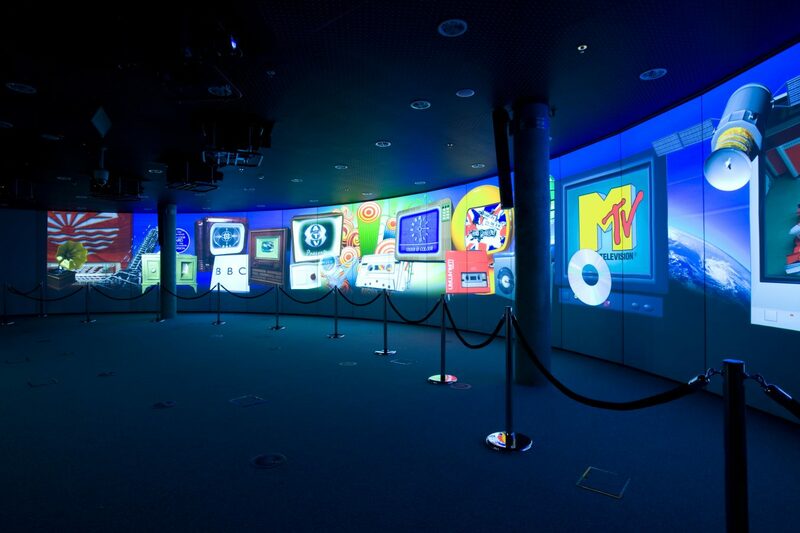 The gallery space is round and therefore projection units had to compensate for the curved walls without compromise on the gallery viewing experience. 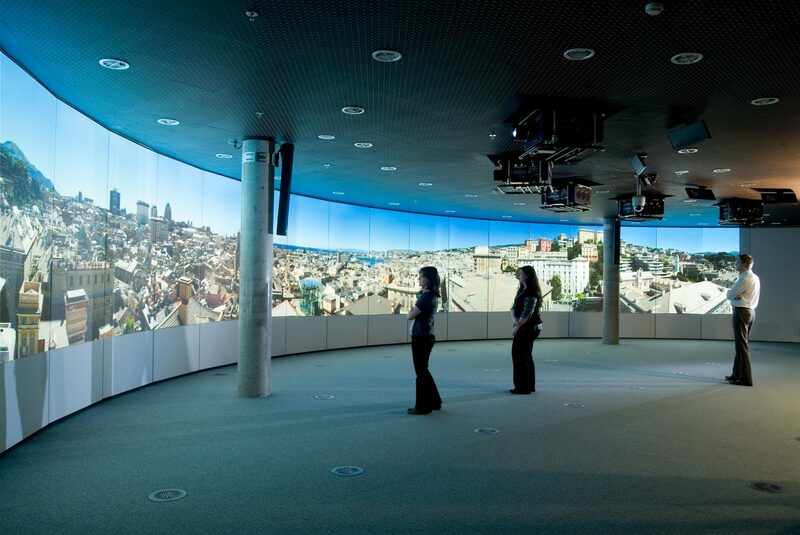 We delivered a 24 metre x 2.5 metre edge-blended curved display screen with a total resolution of 9157×1080 pixels. 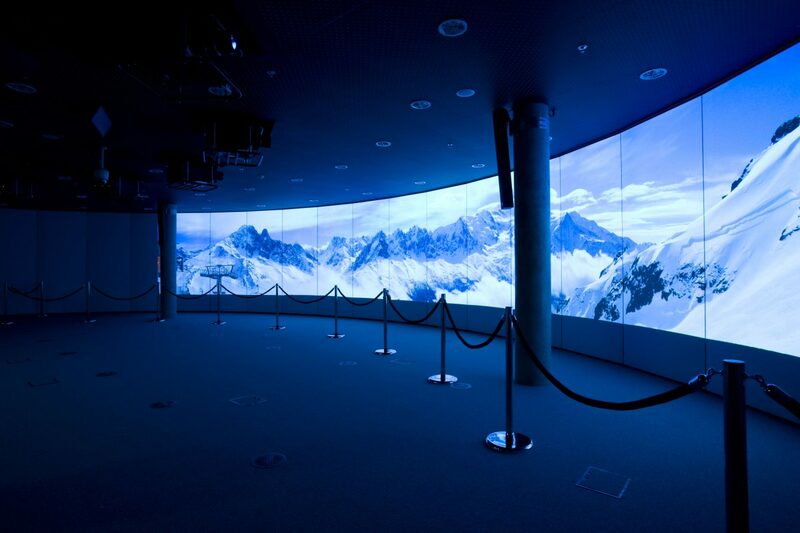 This configuration allowed for the largest projection wrap possible without any contortion. The Forum and Snelling Business Systems worked on transforming AV tech in the space, which allowed them to host an event on any given day, and another completely different event the next day. This means the space (sound, lighting, projection etc.) can be choreographed from a single control panel as and when required. Moreover, despite being one large hall, the same space can now be multi-partitioned to host multiple exhibits with negligible distraction caused to visitors of one exhibit by the sound and lights of another exhibit. For sound, two separate and independent systems were installed for a whole room or a five partitioned zone experience. 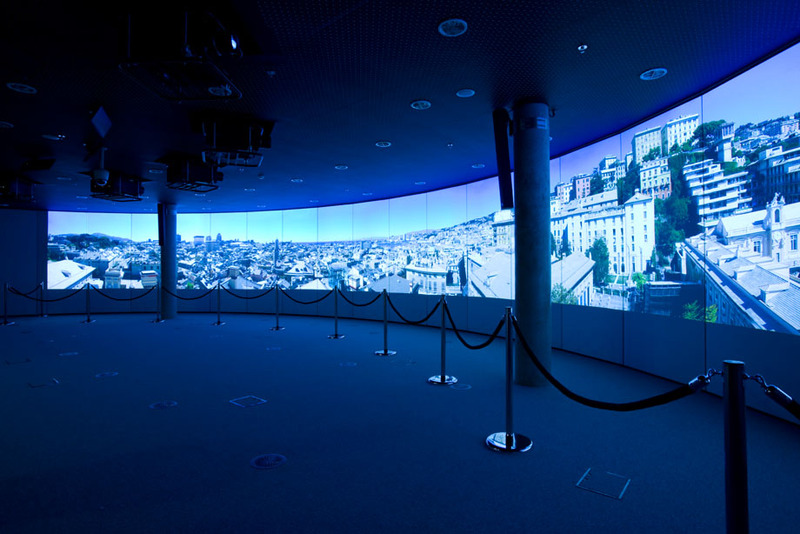 These systems are controlled by AMX touch surfaces with multiple gallery scenarios and a Dataton Watchout playout system. All design work, engineering, planning, installation and programming was conducted in house and the project was delivered within budget and on time. 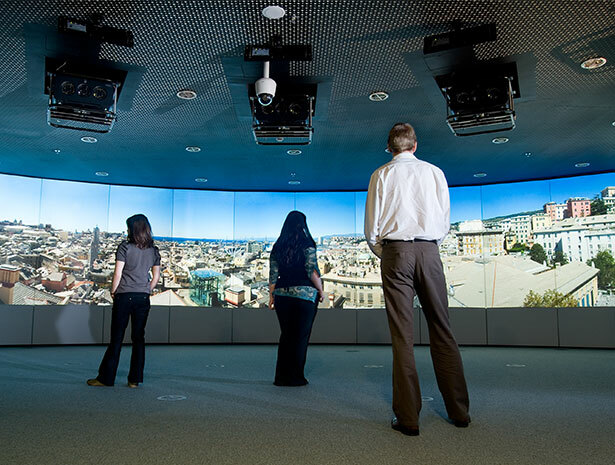 Forum Fusion was opened to the public in April 2009 and later that year, the project was also highly commended at the prestigious AV Awards. After successful operation over the years, we were reappointed to redevelop the space to improve operational flexibility further and add to their carbon credentials as well. Download the Forum Fusion Casebook.